Watch The Market Day Report Monday through Friday from 9 a.m. to 2 p.m. ET. 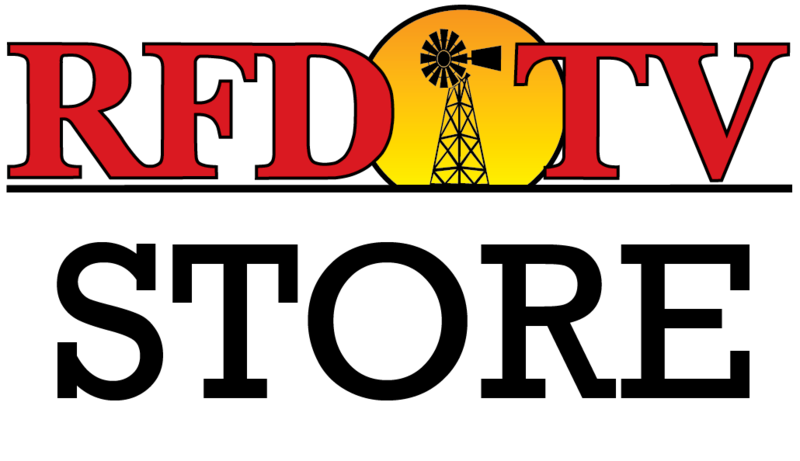 TEMPLE, Texas (RFD-TV) Improving the nation’s soil health was the focus of 2014 National Conference on Cover Crops and Soil Health earlier this year in Omaha, Nebraska. “I’m extremely excited. This is one of the most important conferences, in my view that’s occurred, not just this year, but in recent – my memory, in terms of advancing, not just the cause of conservation, but also really about the productivity of agriculture here in the United States,” said USDA NRCS chief Jason Weller. The event was sponsored by the Howard G. Buffett Foundation and livestreamed to more than 220 USDA and Extension locations throughout the nation. Concurrent with the conference, individual states hosted forums where soil health and cover crops were also discussed. “Today, we conducted the forum on soil health and cover crops in Texas Zone 5. We had four of these meetings simultaneously across the zone. This one happened to be here in Temple, Texas at the Grassland Soil and Water Research Lab,” said Nathan Haile, an NRCS Zone Agronomist in Texas. Farmers and ranchers at the workshop watched the national video feed and later discussed local soil health issues and opportunities. “Soil health in general, I think, is a great thing because if you look around where I live, there’s not many earthworms and there’s a lot of bottom land. I see people always there doing the thing people tell us not to do. They’re tilling a lot of land. And there are some things that you don’t see a lot of no more, like birds, animals, stuff around the country that you don’t see anymore. And that’s one of the things I‘d like to see come back,” said Willie Flemings, the Texas Small Farmers and Ranchers CBO. “I think that’s great. Those of us here, we come together and see the forum and we can talk about what’s going on and you can learn from guys who actually are around you that’s doing it,” Flemings added. “I think it’s a wonderful idea. I liked the gentleman who spoke about bringing back the endowment of our soil, that we’ve depleted and it’s time to bring it back,” said Katie Campbell, and Ennis County rancher. “Today, part of why I’m doing all this is I want to be a beacon of hope for the Blackland Prairie and Texas so that we eliminate the ‘You can’t do that here’s.’ And so I’m happy that we had a good turnout today of people that can hear there’s hope to farm in different ways and build the soil back to be sustainable,” said Jonathan Cobb, a Bell County farmer. “We had both indoor and outdoor activities. The indoor, of course, was just a really good discussion. But the outdoor activities – we really focused on what’s called a soil health assessment. And that soil health assessment’s helping a producer get a shovel in their hands, get hole dug, and then start looking at the chemical, the physical and the biological properties of the soils. It was exciting because a lot of people, they really had some good observations. And hopefully the indicators that we showed them can help them decide where to start with the soil health management,” said Haile. A presentation by Bo Brooks, a district conservationist for NRCS, underscored the basic principles of soil health. “The most important thing about my presentation was that you’ve got to remember it takes a system approach for soil health to work. That there’s not one magic bullet to soil health. Cover crops are a hot topic, but it covers three parts of the five principles, so it’s pretty good but it takes more than just one thing. It’s got to be a systems approach to soil health,” said Brooks. Local agriculture producers also played a major role in the forum. “I think it worked out great, especially being able to see, having that producer panel and seeing actual farmers besides just NRCS personnel trying to preach to people. That it really gets people more interested in having some local input or some local farmers, their input on stuff they’ve been trying,” said Brooks. Visit nrcs.usda.gov for more information. This report is from our partners at the USDA.